New Year’s Blues: Ring in the new year with one of these awesome blues shows on New Year’s Eve: Gary Kendall Band w/Diana Braithwaite & Chris Whiteley – Dominion on Queen, Jerome Godboo & Jack de Keyzer – The Delta Chelsea Monarchs Pub, Johnny Max, Chuck Jackson, Sophia Perlman, Raoul Bhaneja at The Riverview Room, Douglas Watson R&B Revue at the Royal Canadian Legion in Waterloo and Mike McKenna & His Stink at The Black Swan. Guitar Greats: To celebrate guitar month (November) CBC Music selected the top 25 Canadian guitarists of all time. 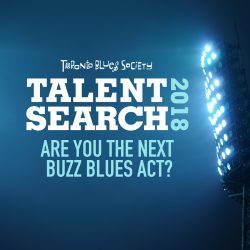 Assembled by a panel of CBC producers and hosts, who compiled all the nominations based on raw talent, musical impact and ingenuity the list includes an eclectic group of players ranging in genres from rock to blues, country to jazz. The list includes many blues guitarists including Jeff Healey, Robbie Robertson (The Band), Colin James, David Wilcox and Kevin Breit (Sisters Euclid). Hamilton Music Awards: The Hamilton Music Awards took place at Mohawk College on November 18, 2012. 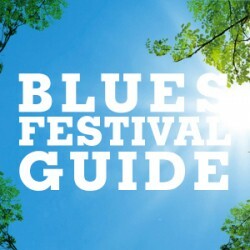 Blues highlights included Crowbar performing and receiving a Lifetime Achievement award. 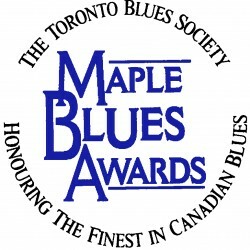 In the blues category Harrison Kennedy took home the award for Blues Recording of the Year for his album Shame the Devil. Also nominated were Andre Bisson (Till the Real Thing Comes Along), Cory Lueck & The Smokewagon Blues Band (It Ain’t Easy), Guitar Mikey & The Real Thing (Out of the Box) and Steve Strongman (A Natural Fact). The award was the fifth time Kennedy has won the award for Blues Recording of the Year. Harrison Kennedy also won the award for Male Vocalist of the Year. Tickets to the KBA ceremony are available online at http://www.blues.org/ or by calling 901-527-2583. The awards are presented by The Blues Foundation. The awards are presented every year to individuals or organizations that have made significant contributions to blues music.